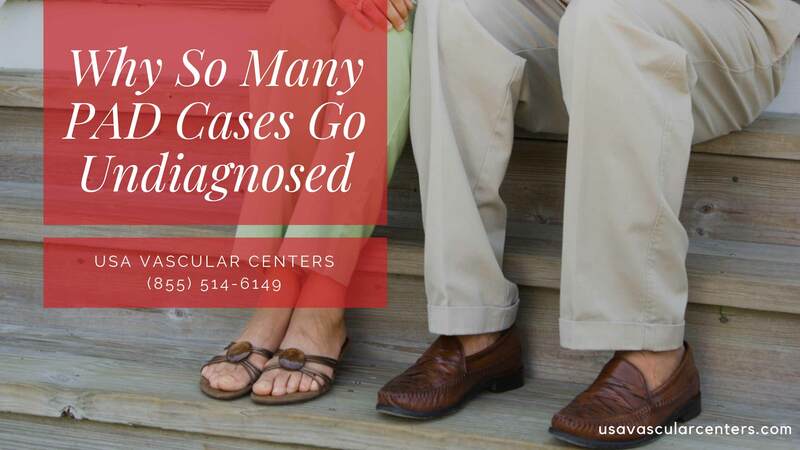 Peripheral Artery Disease (PAD) most often occurs in the leg arteries, but may also affect other arteries that supply blood and nutrients to the kidneys, intestines, arms and brain. In the United States, between 8-12 million people have PAD. That is why it’s utterly shocking that awareness and education surrounding PAD and PAD symptoms is estimated at only 26%. In a study conducted for the Peripheral Arterial Disease Coalition, only 1 in 4 people who participated in the study knew that PAD is associated with increased risk of heart attack and stroke; and only 14% were aware that PAD could lead to amputation if left untreated (Gaps in Public Knowledge of Peripheral Arterial Disease, 2007). The patient experiences significant functional limitations such as difficulty climbing stairs, standing for long periods, or walking even short distances. They may not be aware of the progress of PAD due to tolerance developed over time, or because they may associating their leg pain to arthritis. As a result, the patient may even not mention their symptoms to the physician. This is why PAD often goes undiagnosed, and untreated for years until a serious health concern arises. If the blood flow to your lower legs is not adequate enough to meet the needs of the resting tissue metabolism, it may result in ischemia and progression to ulceration. Ischemia in simple terms means some part of your body is not getting enough blood supply. In most severe cases, PAD will progress into critical limb ischemia in which the patient feels pain even at rest due to low blood supply or non-healing ulcers. Such patients are at a higher risk of losing a part of their leg to amputation. However, timely diagnosis and treatment can help save lives. Know more of treatment options in our next article- PAD Treatment Options and Latest Research.